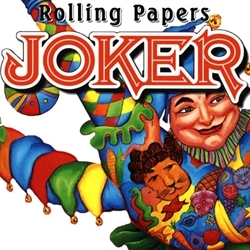 Joker Rolling Papers were conceived in the early 1970's by two New York advertising executives. Since that time, the Joker brand has become a household name. Joker rolling papers are still being made in the same Belgium factory in which they started. The gum lines are made from pure, natural Arabic gum and contain no artificial ingredients. All papers are clean burning producing minimal ash and virtually no paper taste. Enthusiasts appreciate a quality brand like Joker rolling papers. At Smokers Discounts we believe you will too! We’ve made it easy and affordable to buy tobacco products online. Call us for more details!